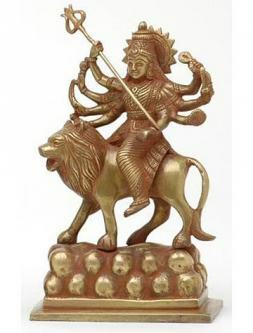 This small statue is a Goddess Durga Figurine, standing 4 inches, where she is riding on the back of her cosmic vehicle, the Tiger. 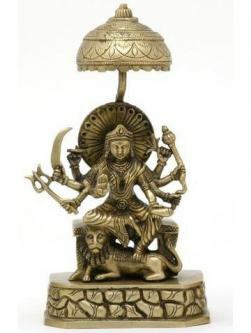 These small Durga statues weigh only about three pounds, so they are not too expensive to ship. 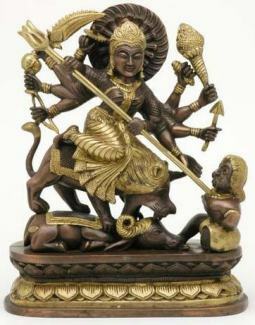 Despite the smaller size of these Durga Statues, she is shown with her full compliment of weapons.